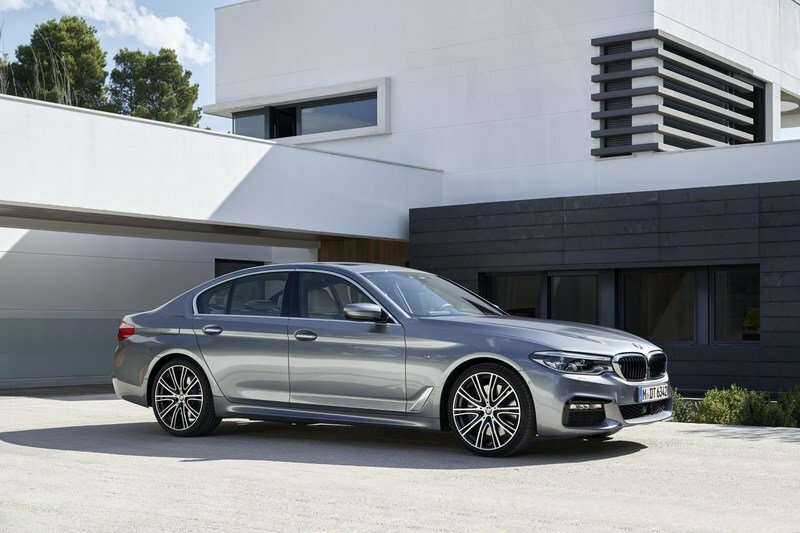 The current (seventh-generation) 5-Series is quite a handsome car, although it is the size of a 7-Series from a few generations ago. 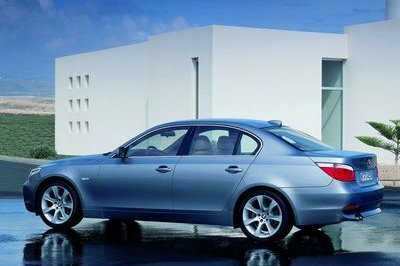 In M550d guise, it stands out thanks to some M trinkets like the 20-inch rims I had on my tester, the massive blue brake calipers, M aero kit, the tasteful trunk lid spoiler and black painted exhausts. It sits really well on the road too and this top diesel one has a lot more road presence than any lesser 5-Series. 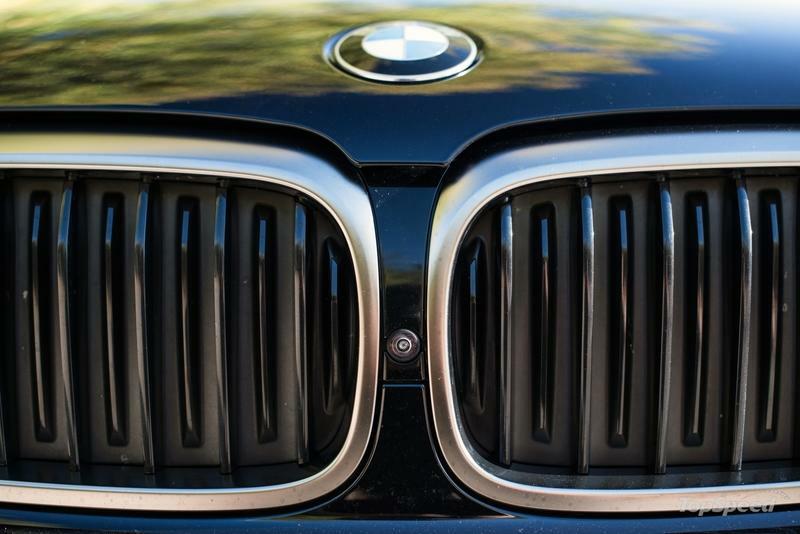 Like all 5-Series models, though, it has real active slats in the front bumper and behind the front wheel which channel air around the tire to lessen turbulence at speed - it is definitely nice that they are not purely cosmetic like with most other cars - you can even see the (massive 275-section) tire through it. 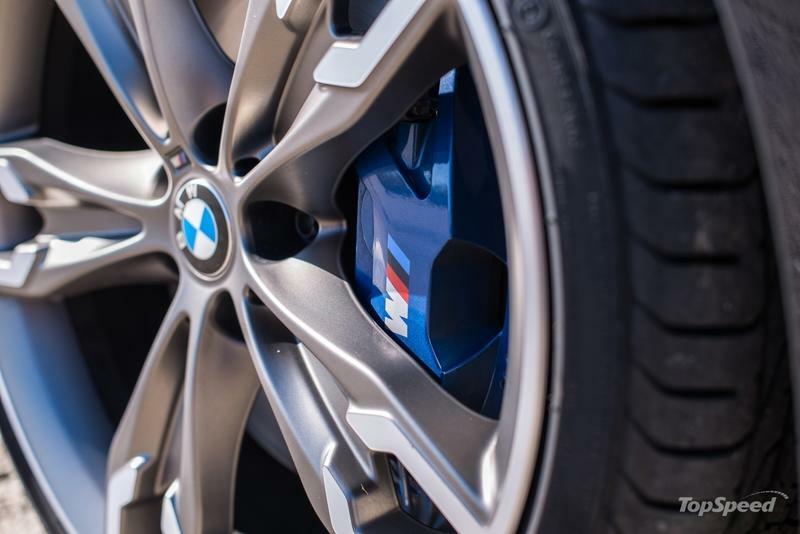 The 20-inch Double-spoke rims (optional ones; it comes with 19-inch rims as standard) are absolutely gorgeous to behold and knowing they look so good makes forgiving the fairly hard and sometimes jittery ride easier - they completely transform the look of the car and really show off those huge M brakes. 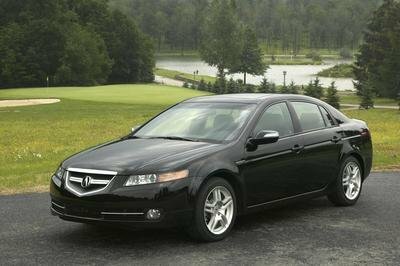 And it turns a surprising number of heads for what is essentially a large-ish executive sedan. It may have been result of the combination of the rims, the Azurite Black paint finish (which is really just a very dark shade of metallic blue that really pops in the sunlight) and the BMW Individual Shadow Line ornaments (which replace most of the car’s chrome bits with either glossy black or a brushed aluminum effect), but it undeniably attracted attention - a group of teenagers even stopped to take photos next to it when it was parked. BMW really improved the slightly bland interior of the previous 5-Series with this latest generation model. Aside from some hard plastics on the B-pillar and lower down in the cabin, there is honestly little to fault about it - the design is modern and looks expensive, the switchgear clicks very reassuringly and in as-tested spec it really felt like a really special place to sit. 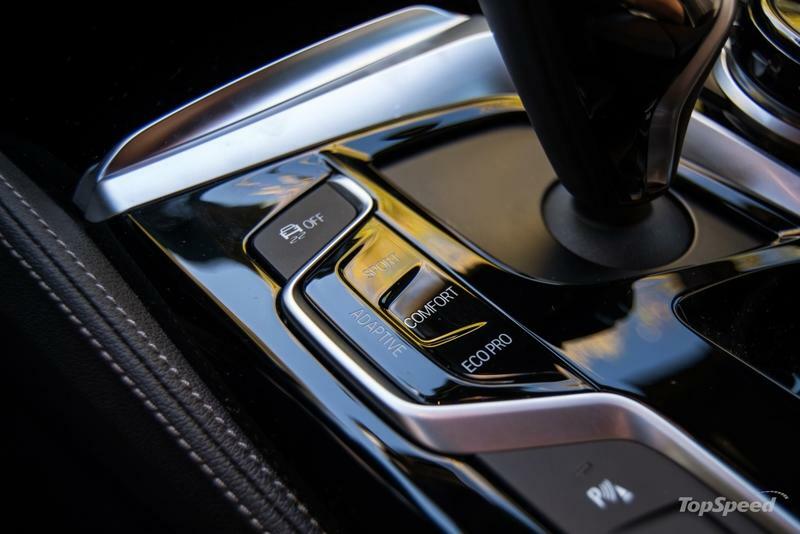 It has a standard M steering wheel, four-zone climate control, mood lighting and black headlining, but obviously, the options made it even better. Worth mentioning are the heated and cooled, fully-electric “Comfort” front seats, the seat belts with the M logo running along their length, the excellent head-up display and the illuminated, metallic sill plates which look really striking at night; you can’t help but notice them when any door is opened. 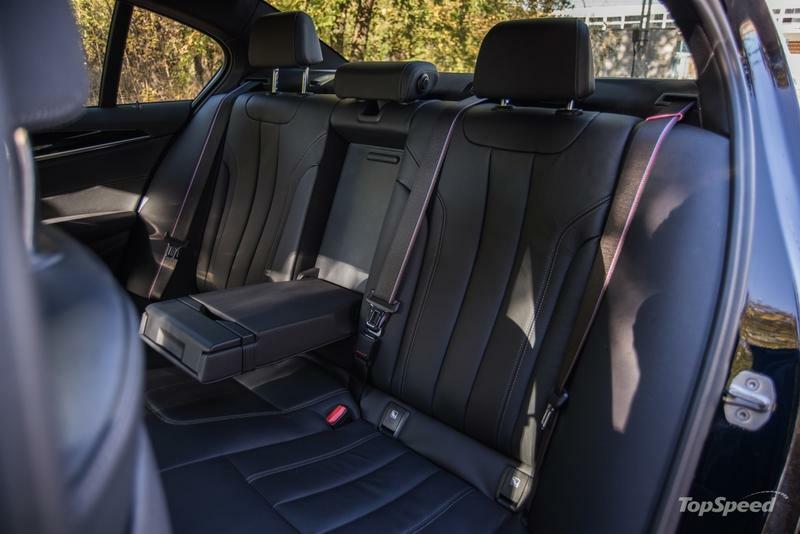 Comfort and space are pretty good overall, although taller rear passengers could use a bit more knee room if tall people are also riding in the front seats. I had one gripe with the front driver’s seat which kept giving me back pain when I drove the car longer - I tried fiddling with the plethora of adjustments, but in the end, I gave up and just tried to adjust my posture, which seemed to fix the problem. BMW uses this same powertrain in other vehicles, but the 5-Series is the smallest and lightest one. 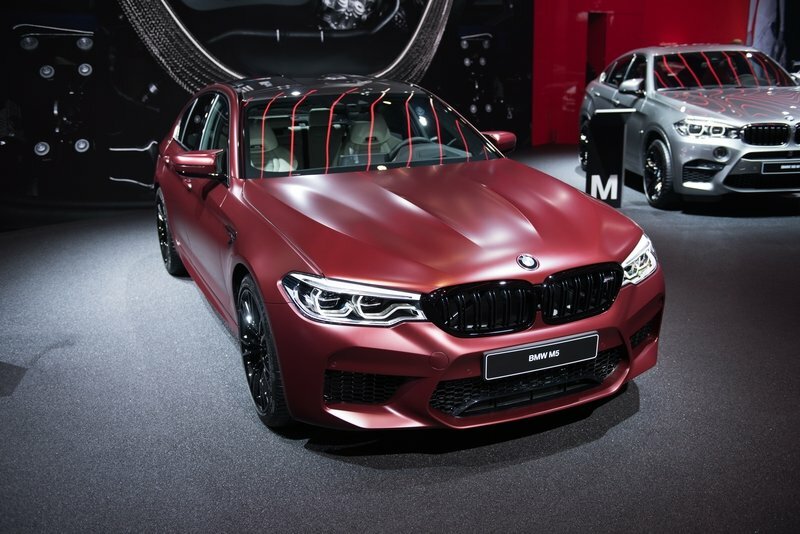 The engine itself is a familiar BMW straight-six diesel displacing three liters, to which the manufacturer has added four turbochargers - two for lower end shove and another two variable geometry ones for higher up in the rev range. The engine achieves its peak power of 400 metric horsepower fairly high for a diesel, at 4,400 rpm, while its peak torque of 760 Newton meters or 560 pound-feet is reached at 2,000 rpm and maintained up to 3,000 rpm. 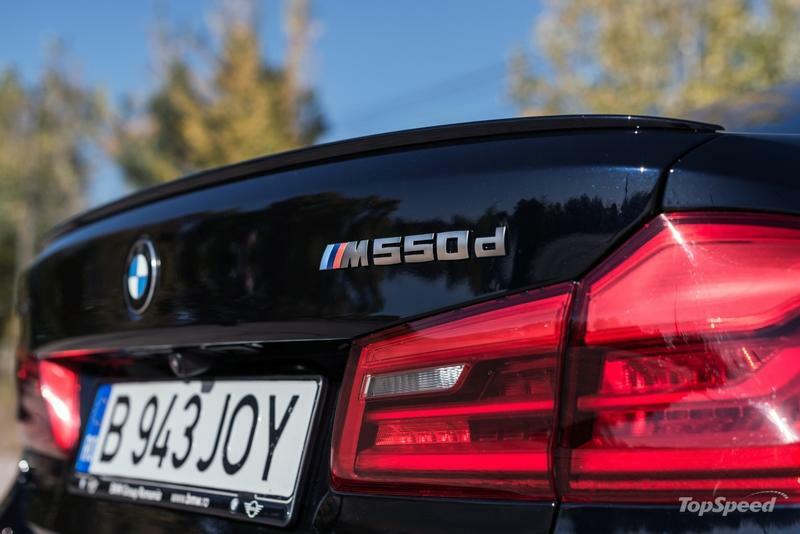 BMW says that even at 1,000 rpm, though, the engine already makes 450 Newton meters or 331 pound-feet, so it doesn’t feel like there’s any lag at all. It sprints to 62 mph or 100 km/h in a very brisk 4.4 seconds, but engine management limits maximum torque in the first gears, so the car feels a bit strange when flooring it from a standstill. In first and second it feels like it pulls pretty hard, but when it shifts into third and then fourth, acceleration relentlessness increases and it feels even harder than before - this is shown on the car’s sport displays which show real time power and torque - it only reaches its maximum torque figure in the higher gears, and you can really feel it. The only slight gripe with this engine is the fact that it doesn’t sound any more special than the powerplant of a 530d. Sure, it pipes in enhanced engine noise through the speakers in sport mode (and it does it subtly, adding to the experience, not taking away from it), but it really deserved an angrier exhaust note too - and if you’ve ever heard a BMW six-cylinder diesel with a straight pipe, you’ll know it can be made to sound surprisingly racy - doesn’t sound too different from a gasoline turbo six. 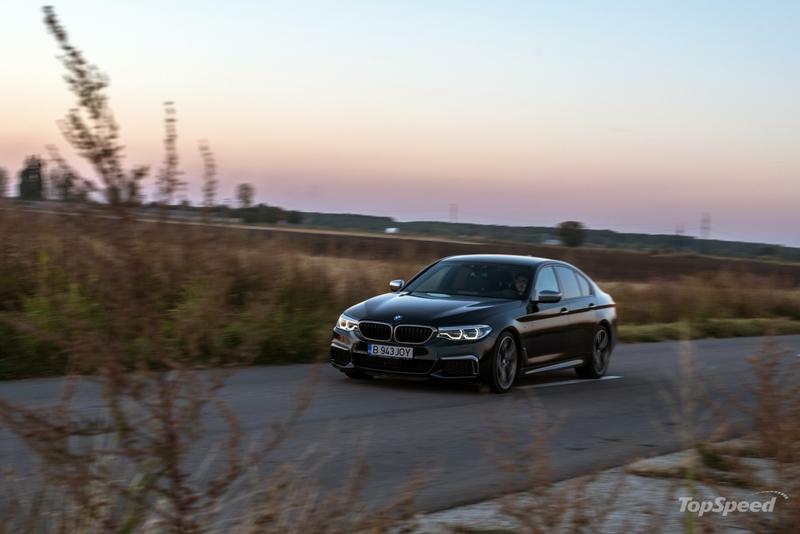 The transmission is the same eight-speed ZF that BMW uses quite extensively, although in the M550d it feels a bit sharper in sport mode than in some other applications - it’s probably just down to different software and more aggressive tuning, but in its sportiest setting it gives you a pleasant jolt when upshifting under full throttle. When it isn’t in its sportiest setting and you stab the throttle, it sometimes takes around half a second to pick up, but its response time is still one of the best on the market. Handling is also surprisingly nimble for what is essentially quite a big and heavy car - it weighs 1,920 kilograms or 4,233 pounds, but thanks to grippy tires and rear-wheel steering, the driving experience will fool you into thinking it’s a smaller car than it really is. You also don’t have to apply much steering lock either and the only moment you really notice the weight is under braking and during very sudden direction changes. BMW claims the M550d uses 6.5 l/100km (36.2 mpg US) on average and while I can believe the figure is achievable if you keep the car in Eco Pro mode, a more realistic one is 8 or 9 l/100km for sedate everyday driving. If, however, you drive it like you’ve stolen it, expect an average figure nearly twice what the manufacturer claims. 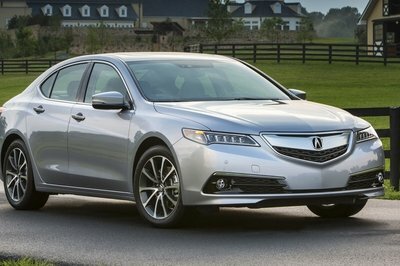 But even so, it’s one of the most efficient performance sedans in the world. 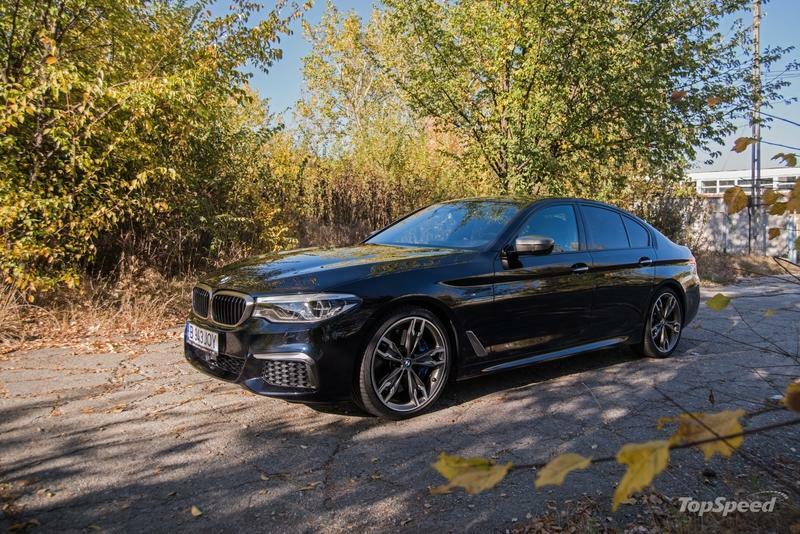 In Romania, the M550d xDrive starts from €87,525 ($100,400), but my tester’s total price including options was €112,178 ($128,684) VAT included. 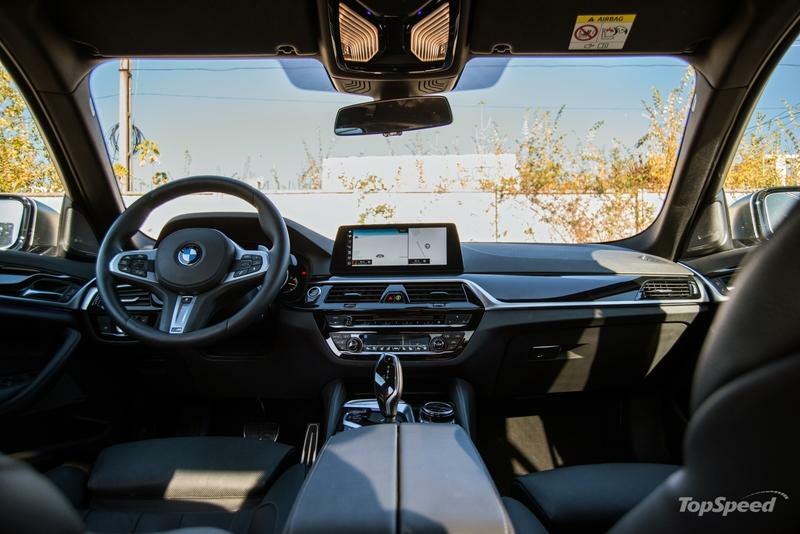 The most expensive options were the M adaptive suspension which is €3,690, the €3,525 Innovation Pack (which includes the smart touchscreen key, the head-up display, the gesture control and the multifunction display), the €2,403 Safety Pack, which gets an extra set of systems for an additional €1,976. 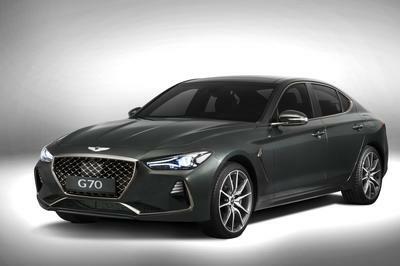 The rims cost €1,128, the black Dakota leather interior is €1,599 and the optional premium Harman Kardon sound system adds another €1,117 to the final tally. 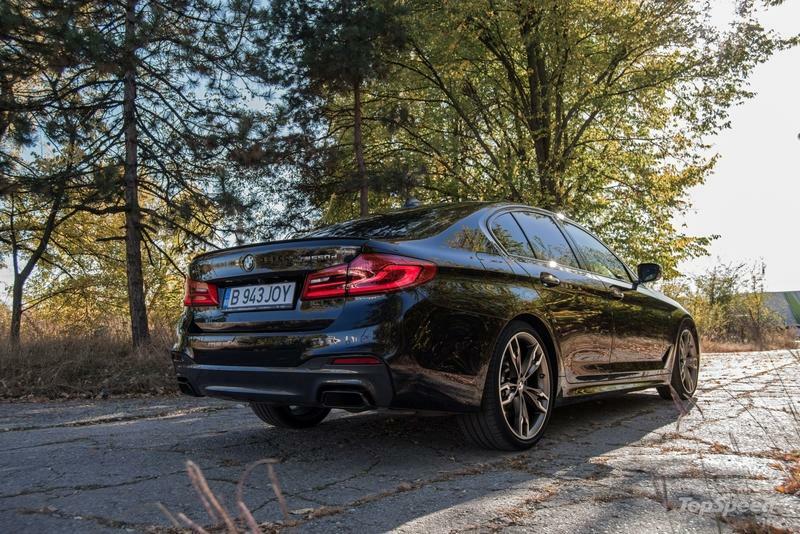 The M550d’s biggest rival has to be the latest, fire-breathing, all-wheel drive M5. It may have a starting price of €119,357, but that isn’t that much more than my diesel tester and the M5 is considerably faster, more special and more head-turning. 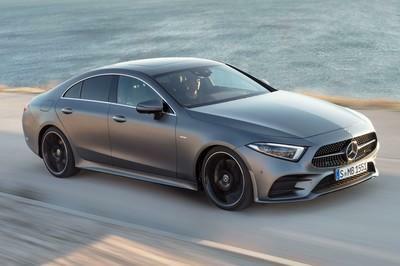 It uses the latest version of the company’s 4.4-liter twin-turbocharged V8 which makes up to 625 metric horsepower (and almost exactly as much torque as the M550d) in the M5 Competition and is able to send the car to 62 mph or 100 km/h in 3.3 seconds. 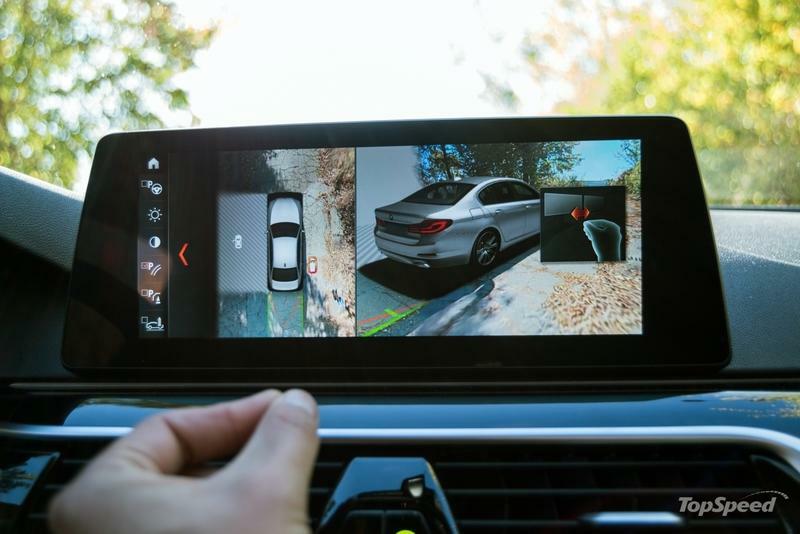 It too comes with all-wheel drive, but is even more nimble and easy to throw around compared to the M550d, it is harder and more focused too. 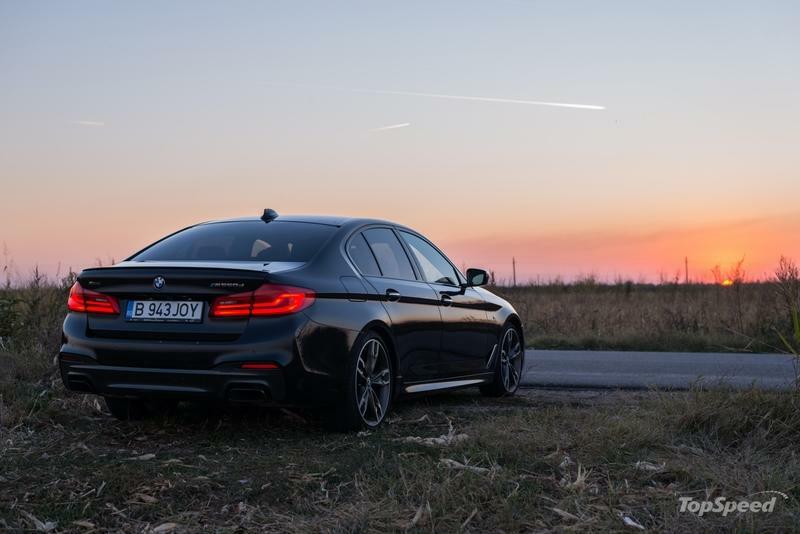 It is a better performance car overall, and the only point where the diesel beats it is for efficiency which the M5 simply cannot match, no matter how it is driven. 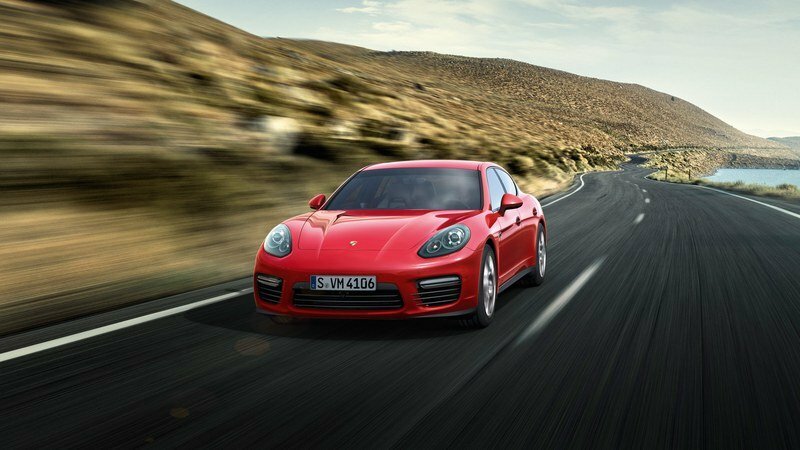 One other diesel car (that isn’t an SUV) matches and even surpasses the M550d - the Porsche Panamera 4S diesel, which uses a 4-liter V8 engine to achieve its performance. Power is rated at 422 metric horsepower and torque is 850 Newton meters or 627 pound-feet between 1,000 and 3,250 rpm. 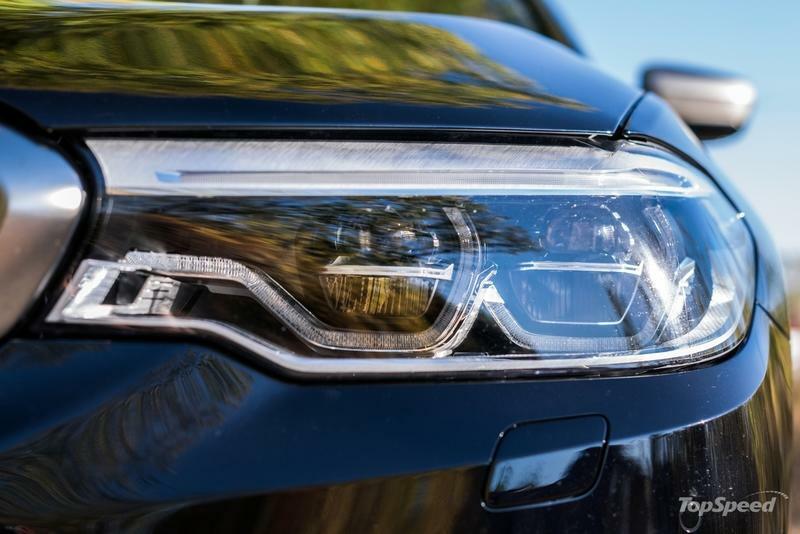 With these figures, the 4S diesel sprints to 62 mph in 4.4 seconds which is exactly as fast as the BMW, making the fact that the latter uses a six-cylinder engine more impressive against the Porsche’s larger displacement V8. Read our full review on the 2018 Porsche Panamera. 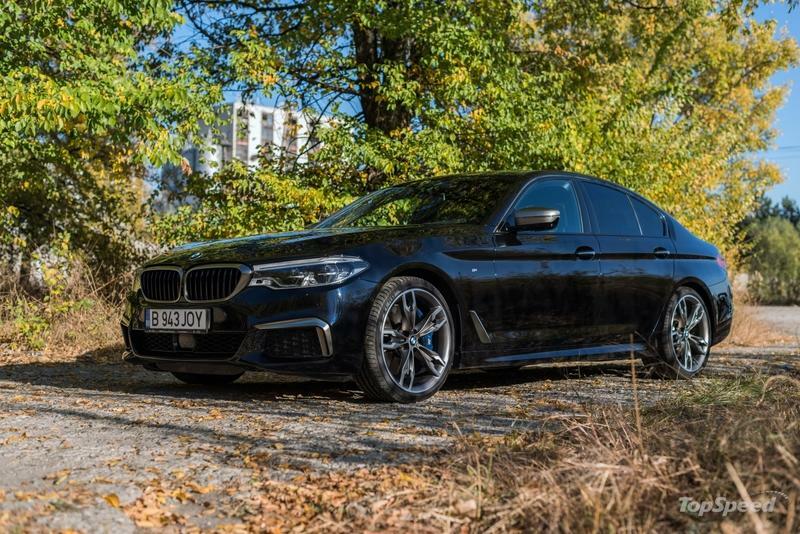 BMW offers quite a unique product in the form of its M550d xDrive, a less extreme, diesel version of its M5 super sedan, with plenty of performance and visual kudos to help it stand out. Its quad-turbo diesel engine is a talking point in and of itself, a real feat of engineering (it is, let’s not forget, the most powerful six-pot diesel in any production car, matching the output of larger V8 diesels), one that blends very strong performance with decent fuel returns in a way a gasoline engine just can’t match. 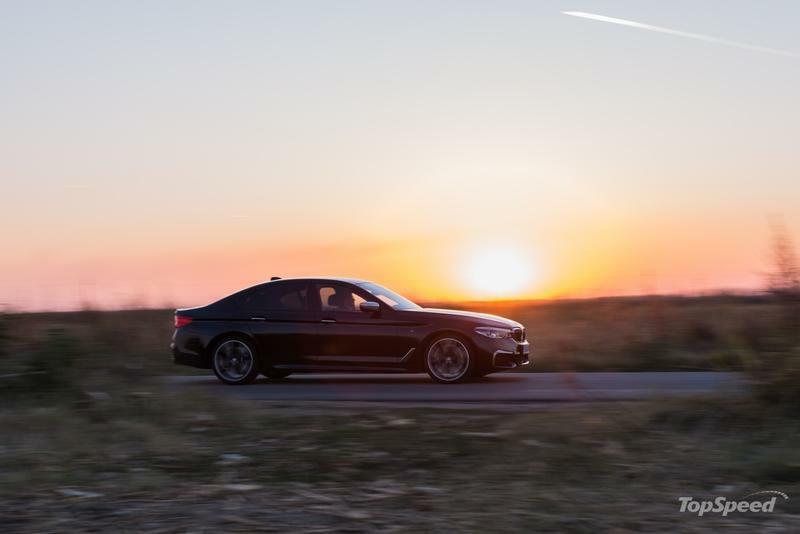 And this diesel suits the 5-Series very well, bestowing it with a torquey, relaxed character when you’re not really on it, changing its character instantly when you put everything in its sportiest setting. As a car it works really well too, doing the practical stuff just as well as any other lesser-powered 5-Series. 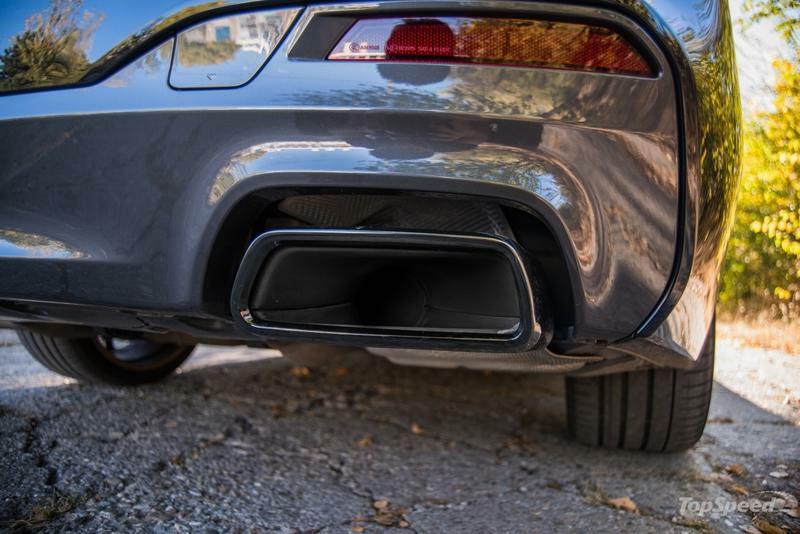 It isn’t as comfortable, though, since it rides on stiffer suspension than stock as well as those very pretty 20-inch wheels - make no mistake, they have a significant negative impact on the car’s ride characteristics, and you can also damage the rim or tire very easily as it uses very low profile rubber. It also feels a bit unsettled on bumpier roads, never giving you full confidence to push it hard. It really likes smooth asphalt, where it really comes into its own - it corners quite flat, grip feels almost endless and if you disable the traction control, the back steps out nicely too and it really is more of a hoot to drive than you’d expect, given its size and heft. It’s a tradeoff you should be aware you’re making when buying one of these - it handles very well on smooth roads, but on any other surfaces, you’ll most likely drive it slowly so as not to do any damage. 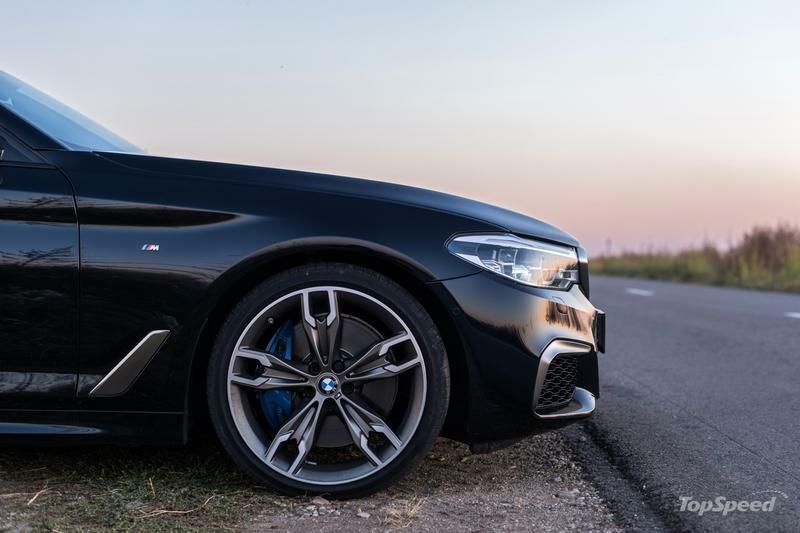 You can get it with the standard 19-inch wheels (the smallest ones you can get on the M550d) which detract slightly from the look, but make it a bit more drivable and compliant on less well-surfaced roads. But aside from this small matter of ride quality (and the price), there’s nothing really wrong about it, so if you like it (and the idea of it) then you can just buy it since there aren’t any comparable diesel rivals from any competitors. 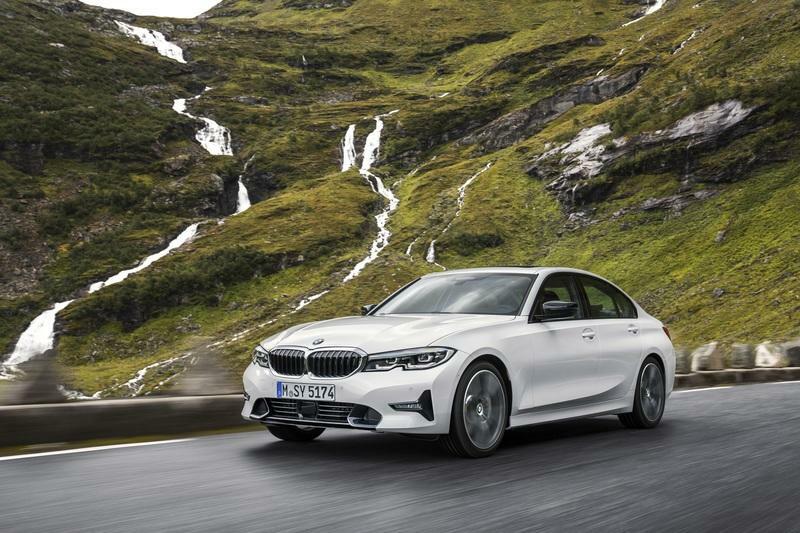 Read our speculative review on the 2019 BMW 3 Series. 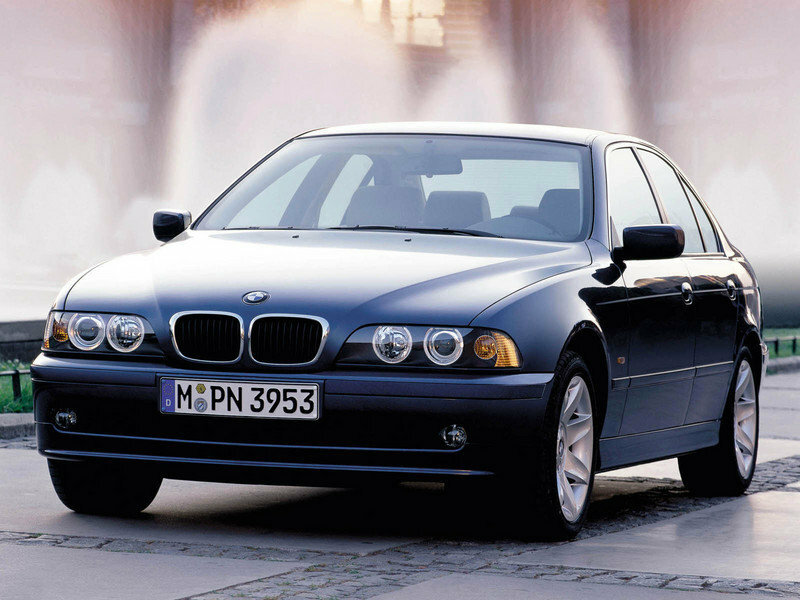 Read our full review on the 1998 - 2003 BMW 5 Series (E39).